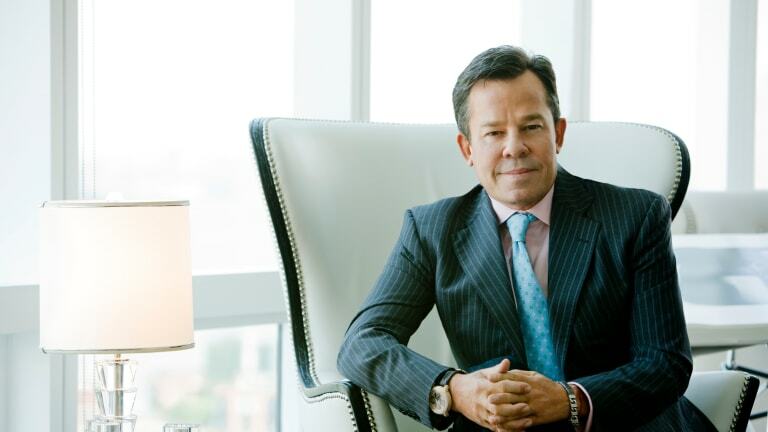 American businessman JR Ridinger was ready for a new yacht to accommodate his friends and expanding family. 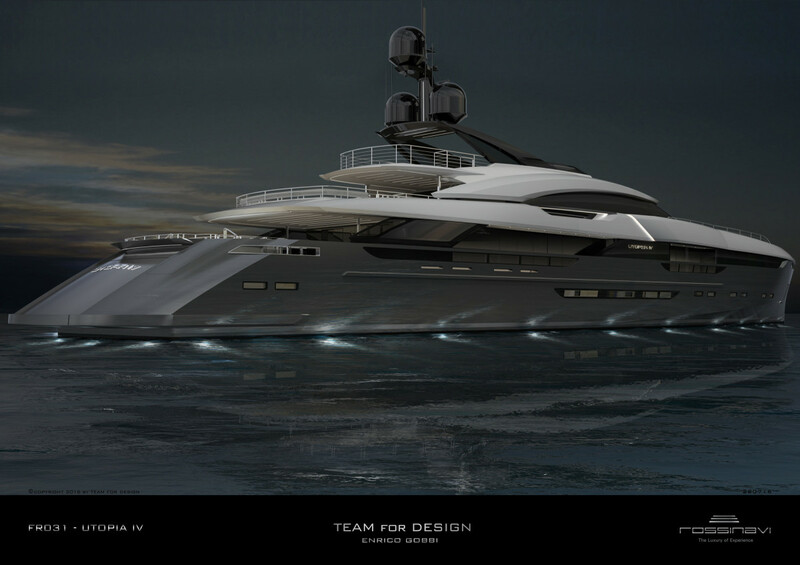 He had other criteria as well, and his search ended in a place he didn’t expect: Viareggio, Italy, where Rossinavi had begun construction on a fast, all-aluminum, 207-foot (63-meter) motoryacht it called Project Vector. 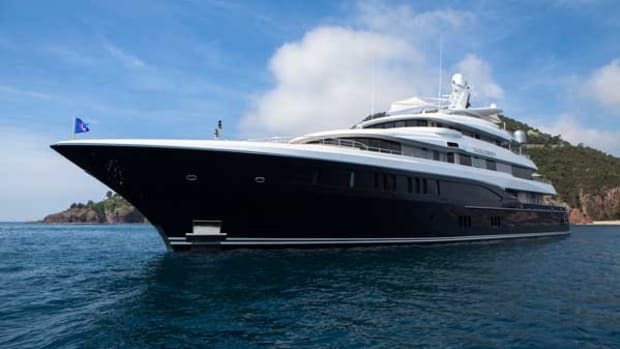 JR and Loren Ridinger are veteran yacht owners. Their criteria, in addition to increased guest space, included speed and a shallow draft for the Bahamas. 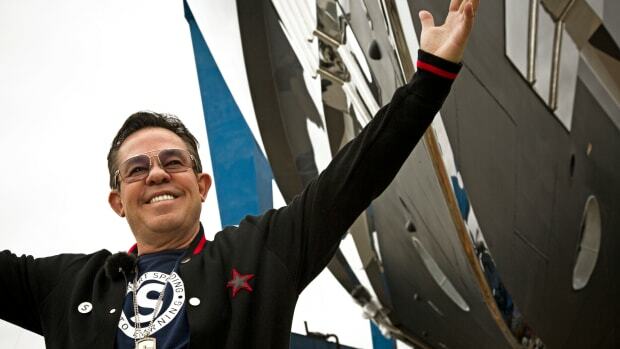 Project Vector reportedly will be able to hit 28 knots, allowing Ridinger to add another fast toy to his life (he enjoys snow skiing, riding personal watercraft and car racing). 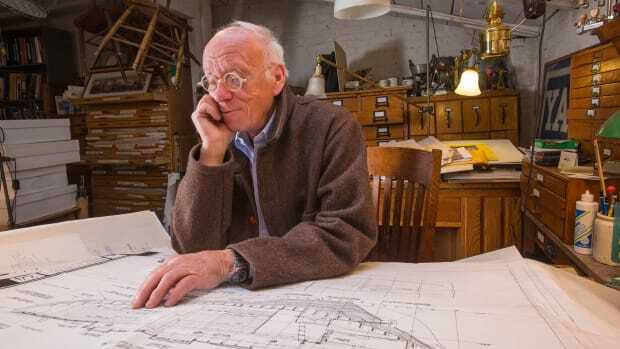 His first boat was a 27-foot Carver. 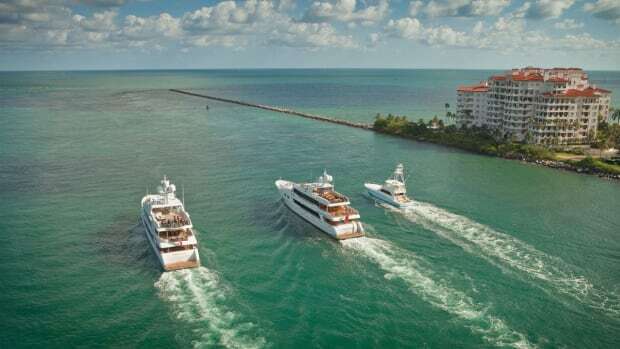 He moved through some other boats including a Hatteras before purchasing a Feadship. 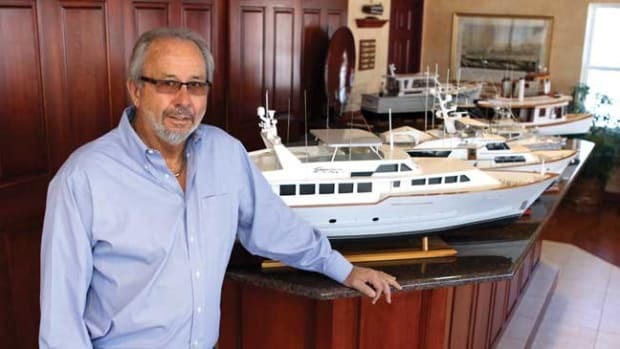 He currently owns the 155-foot Trinity Utopia III. “Frankly, I had never considered an Italian-built boat,” he says. His longtime captain was also skeptical, so Ridinger sent him and his engineer to Rossinavi. “They came back convinced the yacht would be exactly the right thing for us,” he says. “I am a triple Pisces,” he said with a wink, suggesting strengths of empathy and intuition that some astrologers say border on psychic abilities. The Ridingers founded Market America in 1992 out of their garage in Greensboro, North Carolina, and later acquired Shop.com for online sales. Now in its 25th year, Market America is a global company that helps individuals become entrepreneurs who earn residual incomes (or, as the company calls them, “unfranchise owners”). The “S” on Ridinger’s T-shirt stands for “shopping annuity,” a cash-back program on Shop.com. 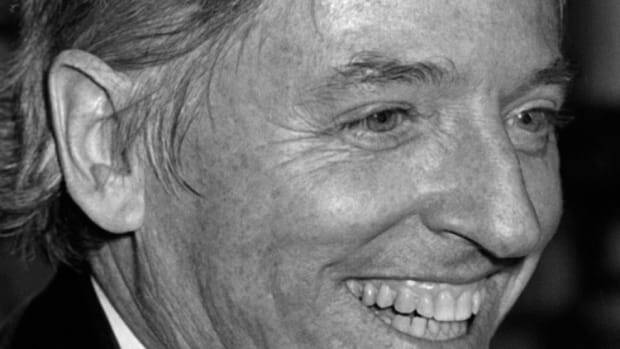 “I call myself an economic evangelist,” he says with a smile. 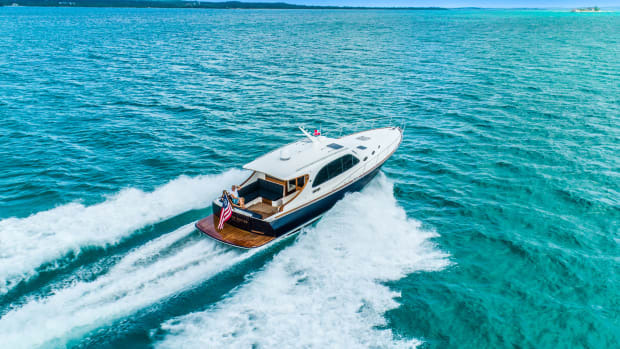 Over the years, the Ridingers have enjoyed much luck, including having homes in Florida, North Carolina, Connecticut, New York, the United Kingdom, the Bahamas and Puerto Rico. 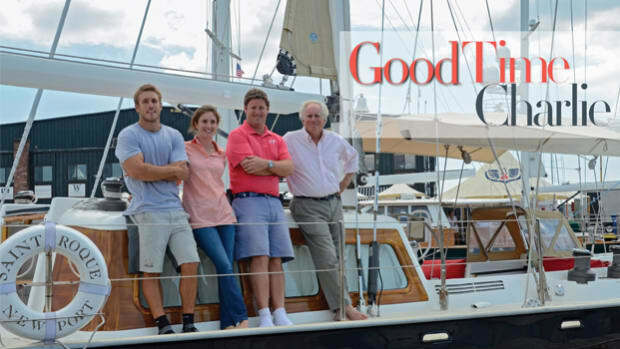 They are drawn to the water and yachting, a sport they share with business associates, family and friends. Meeting the Rossi family cemented the Ridingers’ decision to pursue their dream yacht at Rossinavi. JR Ridinger and Federico Rossi, COO of Rossinavi, show their enthusiasm for Ridinger’s 207-footer designed by Team for Design/Enrico Gobbi. When it came to making the numbers work, Ridinger says, Loren handled negotiations with Claudia Rossi. “The two women came to a meeting of the minds,” he says. Upon delivery, Project Vector is expected to be christened Utopia IV, the Ridingers’ perfect paradise afloat. 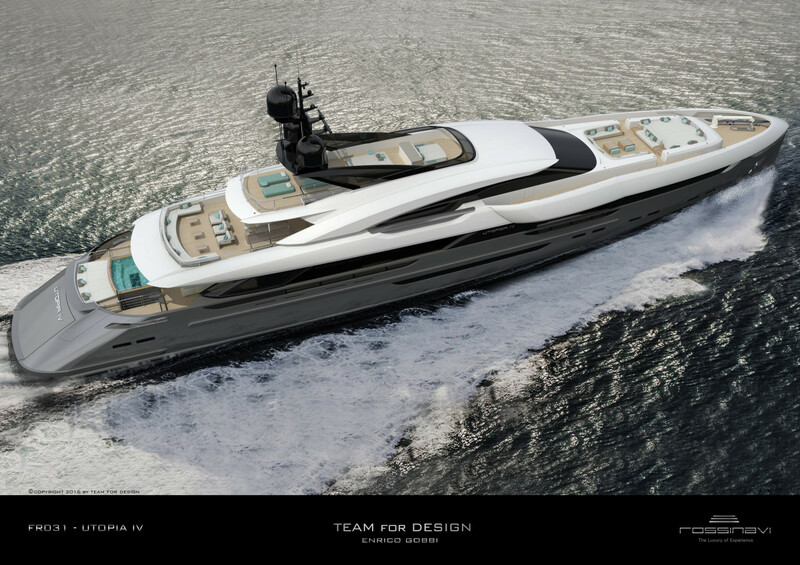 The 207-foot (63-meter) motoryacht Project Vector, designed by Rossinavi in collaboration with Team for Design’s Enrico Gobbi, takes its style cues from the Italian automotive industry. Similar to a sports coupe, the yacht looks and is fast for her size. 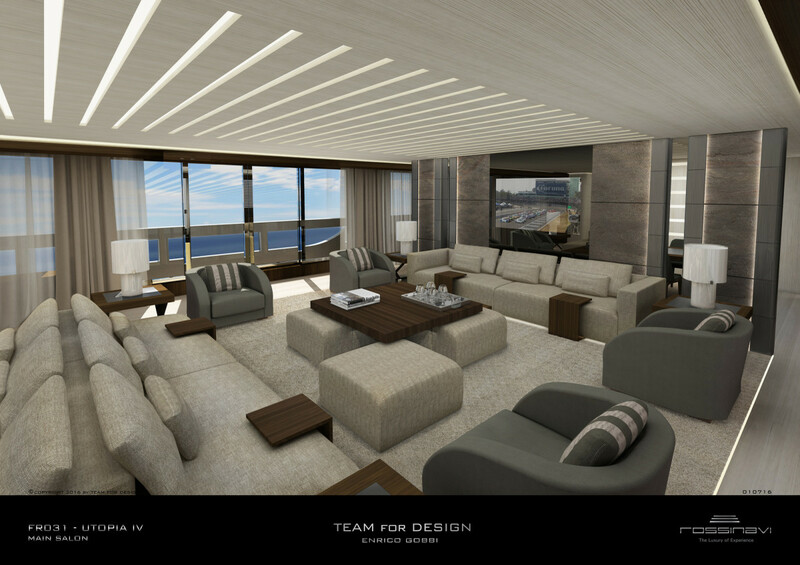 “I wanted to create a timeless yacht with shapes and details that are unaffected by time or fashion,” Gobbi says. “Her interior aesthetics are understated, clean and contemporary with neutral appointments,” Gobbi adds. The color palette is primarily white, beige and blue. All the marble is sourced from Carrara, and the fabrics and other interior materials will come from Italy, too. Rossinavi says the yacht will debut at the Monaco Yacht Show in 2018. Project Vector is “a fast boat with hydro jets planned for the Caribbean and shallow enough draft for port cities in Miami and the Bahamas,” says Federico Rossi, COO of Rossinavi. Rossinavi was founded in 2007 upon the legacy of Claudio and Paride Rossi, who fabricated metal starting in the 1970s and built coastal boats while subcontracting for superyacht yards in the 1980s. Today, Rossinavi builds superyachts in the 130- to 230-foot (40- to 70-meter) range.